The Ask Me Anything campaign was developed to improve communication among clinical staff and clients. 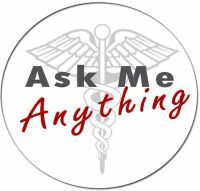 A simple button stating Ask Me Anything is worn to remind and encourage questions from patients to increase safety and health outcomes. Importance of communication: from primary to tertiary healthcare settings communication is a vital aspect. The most important safety tool that all members of the healthcare team have at their immediate disposal is communication. Everyone must be accountable to speak up if an unsafe or potentially unsafe practice is evident, regardless of position. There's no part of the healthcare "experience" from admissions (history), informed consents, and discharge instructions that does not rely on accurate levels of communication. In a tertiary healthcare setting medical devices are connected to patients for the purposes of delivering medications, gases & enternal feedings. These devices frequently have similar & often identical connectors. The multitude of similar connectors in a clinical environment may lead a patient care provider to connect two devices which have different intended purpose, thus leading to a "misconnection." In April of 2006 Joint Commission on Accreditation of Healthcare Organizations issued a Sentinel Event Alert: Tubing Misconnections A persistent and potentially deadly occurrence. In its efforts to prevent health care related harm affecting millions of patients worldwide, The World Health Organization also recognized this problem. The WHO included catheter and tubing misconnections as topic number seven in its "Nine Patient Safety Solutions." 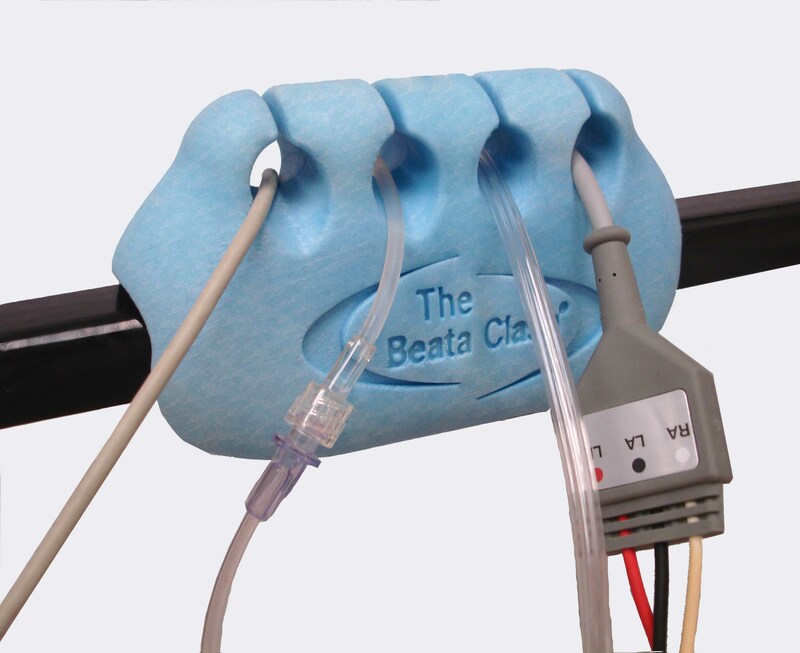 Encourages Tubing Awareness The Beata Clasp® is a soft foam clasp that attaches to the hospital bedrail. 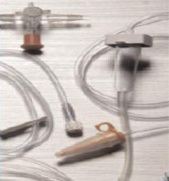 Medical tubing, lines and drains fit securely into the product's bank of circular grooves. The clasp prevents tubing misconnections, line impingement, dislodging and entanglement by holding tubes in place within the grooves. The simple technology reduces the risk of adverse line, tube and drain incidents by keeping lines organized and neatly separated. Because tubing is prevented from falling to the floor, contamination risks to patient and safety hazard risks to caregivers and visitors are reduced. Tubing Misconnections A persistent and potentially deadly occurrence. In April of 2006 Joint Commission on Accreditation of Healthcare Organizations issued the Sentinel Event Alert: Tubing Misconnections - A persistent and potentially deadly occurrence. The World Health Organization made "catheter and tubing misconnections" topic number seven in its "Nine Patient Safety Solutions."